Bicycle Wall Sticker. If you like keeping fit and going to ride your bike then you need this wall sticker. 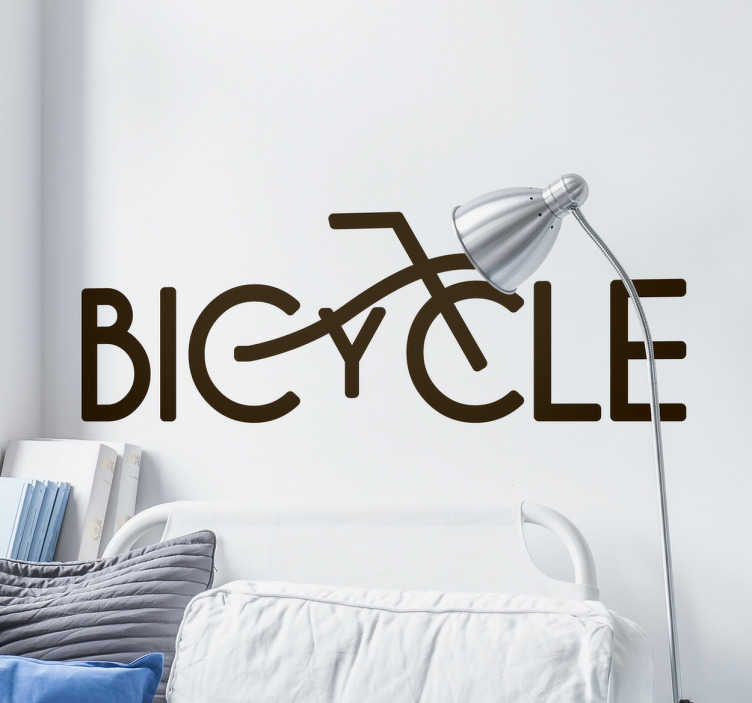 The wall decal consists of the word bicycle, however the letter c,i and c have lines going through them. These lines together with letters make up the shape of a bicycle. This sticker is available in a variety of sizes and colours. Like all of our stickers it is easy to apply to any flat surface.